Get prepared and start early! Three months before your 17th birthday you can apply for your provisional license – or as soon as you're 16, if you're disabled and receiving mobility allowance. You can apply online or use a form from the Post Office (form D1). The provisional licence currently costs £50 for a car. Then from you're 17th birthday, you can legally drive a car on public roads in the UK. If possible try and start practising on private land. This is ok as long as the site is gated and far away from public highways. Note: supermarket car parks are classed as public roads, so avoid these. Before you start learning and driving a car, make sure you can read a number plate in good daylight from 20.5 metres away which is around about five car lengths distance. For the new-style number plates (that were introduced on September 2001), the distance is 20 metres. If you need to wear glasses or contacts to read the number plate that's ok but make sure you always wear them when driving. When you're learning in any vehicle, you must display 'L' plates (or 'D' plates in Wales) on the front and back of your car – somewhere they can be seen easily. Also don't restrict your own vision by dispaying in a front or rear window. Remember you're only allowed to drive with someone who's passed their test, is over 21 and has been driving for three years or more. Your 'L' plates also have to meet legal specification - so buy them rather trying to knock some up yourself. 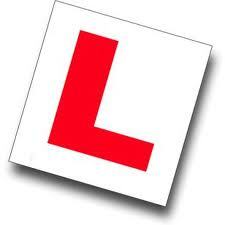 If the car is driven by someone with a full licence, the L plates need to be removed or covered up. Don't forget to get insurance! When you're paying and taking driving lessons, your driving school will have the car insured to cover every eventuality. But remember, if you're practising with friends or family, make sure you're covered on their insurance policy. Todays roads are busier and more complex than ever before. To ensure you learn correctly and are taught the safest and best methods to ensure you feel confident and feel safe, plsu fully prepared for the driving test you'll want the best preparation possible. It is highly recommended to take driving lessons from a fully qualified driving instructor that is licensed by the Driving Standards Agency (DSA). All our driving instructors on our website are fully qualified and licensed by DSA and all have CRB checks and certifications. In addition, all the instructors listed receive ongoing continuous professional development to ensure they are keeping themselves updated and ahead of things. It will make your learning process easier and faster if you take regular driving lessons and not to leave too much time in between. Driving lessons are best taken as regularly as possible - ideally 1, 2, 3 or more sessions per week, depending on your available time and funding. Driving lessons are normally taken in single 1 hour, 1:5 hour and 2 hour sessions. 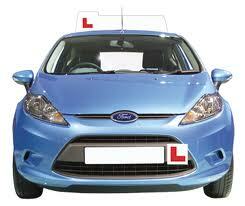 Your driving instructor will advise what suits you best after your first couple of driving lessons. Fast Pass or Intensive Driving Courses can help if you need to pass your test in a shorter period of time, for example before you go to University, or to assist in gaining a job position. Many of the driving schools and instructors we list offer a more intensive programme of learning if you so require. We have also added a section with driving schools that specialise in intensive courses. As the old saying goes - practice makes perfect! Once you've started taking driving lessons your driving instructor will be happy to discuss the best way to getting some practice between your driving lessons. You can practice with a friend or family member as long as they're over 21 and held a full British driving licence for over three years. After having a couple of driving lessons your driving instructor will be able to more accurately estimate how many driving lessons you are likely to need. According to DSA the current average is 45 hours of tuition, with 22 hours of private practice. Remember this is an average, some take far less and some take far more. Taking regular, longer driving lessons with a shorter break between and gaining some private practice will help you learn faster.